Passing the Six Sigma Green Belt certification exam is no simple task, and neither is finding a good online program to help study for it. This unfortunate fact is because an almost endless amount of educational providers are available for students to choose from, with some being better than others. Because of the enormous research that would go into making an informed decision, some students simply give up at this stage and never go the distance to achieving their certification. We’ve conducted the exhaustive research for your benefit and found the four best Six Sigma Green Belt programs available. The detailed chart below will allow you to compare all of their features and prices, and more information about each course can be found further below. Keep reading to figure out your ideal plan of action in order to CRUSH the Green Belt Six Sigma exam! ສາຍທາງລຸ່ມ: There are many reasons why Lean Sigma Corporation offers the best online Six Sigma Green Belt course today. ຈາກທີມງານສະຫນັບສະຫນູນຂອງເຂົາເຈົ້າທີ່ດີເລີດກັບລະດັບຄວາມກ້ວາງຂອງເຂົາເຈົ້າຂອງອຸປະກອນການຮຽນຮູ້, ນັກສຶກສາໄດ້ລົງທະບຽນຈະມີຢູ່ໃນການຕິດຕາມສິດທິໃນການສໍາເລັດ. PDUs: students who complete their Green Belt certification course will receive a high volume of professional development units. At roughly four times the amount as many other Six Sigma Green Belt courses, students enrolled in MSI’s course will receive enough PDU’s for certification and CPE with a few to spare. Certification Included: Although offering both a study course and certification exam used to be a common practice, MSI is one of the few Six Sigma Green Belt course providers that still does this. Even better is the fact that this is bundled with their course under one extremely affordable price: an even rarer sight. Flexible Options: MSI’s Six Sigma Green Belt course has a flexible course structure that allows students to complete its curriculum at their own pace and on their own time. This aspect of MSI’s course is particularly popular among students and serves as powerful motivation to actually complete it. ສາຍທາງລຸ່ມ: Students will have to overcome the clunky design of Becker’s review course before they can get the most out of it. ຢ່າງໃດກໍຕາມ, it does offer some appealing benefits to students who can tough it out. Guarantee: Students enrolled in GreyCampus’ Six Sigma Green Belt course that aren’t satisfied with its quality will have three days from the date of initial enrollment to receive a full refund. This is a longer grace period than most other Six Sigma courses, which will give students some more time to accurately evaluate the course’s quality. ການ​ບັນ​ຍາຍ​ວິ​ດີ​ໂອ: GreyCampus provides Six Sigma students with a great deal of helpful video content that breaks down advanced Green Belt concepts. These lectures are presented in a manner that allows students to quickly and seamlessly switch between video and written content. 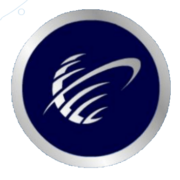 Live Courses: GreyCampus offers a Live Classroom educational package for students that can provide an unparalleled learning experience built around Six Sigma methodology. ແຕ່ຫນ້າເສຍດາຍ, these courses can only be taken in a limited amount of locations, all of which are near the US east coast. 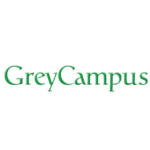 ສາຍທາງລຸ່ມ:GreyCampus offers live instruction, ample PDU’s, and an intuitive interface that will help students wrap their heads around Green Belt Six Sigma methodology. Provided they live near the east coast, these options are convenient and relatively affordable. Access Period: ExpertRating offers students a full year to access their Six Sigma Green Belt materials and complete the exam. This is more than double the length of access time most Six Sigma study courses offer for enrolled students which will certainly come as a major relief for those who like to take their time studying. All-Inclusive Packages: Everything is included in ExpertRating’s course that students will need to study for and take the Six Sigma Green Belt exam. These comprehensive materials are also conveniently included in one affordable bundle, making it a great option for aspiring project managers on a tight budget. Limited Content: ExpertRating lags behind other courses when it comes to the amount of practice questions offered in their curriculum. They also lack video content of any kind. The absence of these features makes their course’s lower price justifiable and slightly less appealing. ສາຍທາງລຸ່ມ: While they may not offer as much study material as other online Green Belt courses, ExpertRating’s real world educational scenarios are great for helping students to better understand Six Sigma methodology. Simulator ການ​ສອບ​ເສັງ​ອອນ​ໄລ​ນ​໌: Students who complete iCert Global’s Six Sigma Green Belt prep course are granted an additional 3 month period to access exam simulations. These practice tests provide students with experience in a test environment that is nearly 1:1 with the actual exam. Black Belt Mentoring: Students in iCert Global’s Black Belt Certification course serve as mentors to assist their Six Sigma Green Belt students. The combination of professional instructors and experienced student mentors ensure that there is no shortage of qualified instructors to which students can reach out. ລາ​ຄາ: Although the first tier of iCert Global’s Six Sigma Green Belt study material is reasonably priced, their Live Instruction program that garnered such high praise is much more expensive. Students will need to pay over $1000 to enroll in this highly lauded prep course. ສາຍທາງລຸ່ມ:iCert Global encourages students to learn from each other while also being taught by a team of qualified instructors. This combined educational method helps to increase the effectiveness of their Six Sigma courses as well as keep their prices low for the most part.